A piece of toast lies butter-side up across the edge of a kitchen table when the table is accidentally bumped, sending the toast tumbling to the floor. Is there any truth to the common thought that the toast always lands butter-side down (as an example of Murphy’s law, which here might be stated, if a mess can happen, it will happen)? If the toast is projected from the edge of a table, then it will fly through the air like any other projected object. But if it is nudged over the edge of the table, it will rotate around that edge and then rotate as it falls. The face that lands on the floor can be predicted if we know three quantities: the height of the table, the amount of friction between the toast and the table edge, and the initial overhang of the toast (how far the center of the toast lies beyond the table edge when the tumbling begins). When the table is bumped, the center of the toast is moved out beyond the table edge and the toast begins to rotate around that edge. It also slides along the edge. Both the rotation and the sliding determine the rate at which the toast rotates as it falls through the table’s height to the floor. If the rate is enough to turn the toast between 90° and 270° during the fall, then the toast lands butter side down. For typical table height and friction and for common toasted bread, a range of small overhang values and a range of large overhang values yield a butter-side-down landing, while intermediate overhang values yield a butter-side-up landing. Here you can do your own experimentation. The inversion of any tippy top example is counterintuitive. Why should the center of mass move upward? Why should any of the rotational kinetic energy put shifted to gravitational potential energy? These questions have no simple, convincing answers but we can make a reasonable explanation by pointing to the friction. After all, if the top is spun on a very slippery surface, it will not invert. A normal top not only spins around its central (body) axis but also moves so that the top of the top traces out a circle around the vertical through the top’s stem on the floor. The motion is called precession. The traditional explanation of the precession involves the top’s angular momentum, which is related to the rate at which the top spins around its central axis. Moreover, it is a vector quantity that points along that axis. Consider a snapshot of a top that is tilted somewhat and that has a fast counterclockwise spin as seen from above. The top’s angular momentum is represented by a vector that points upward along its central axis. Because the gravitational force pulls downward on the top, it creates a torque on the top, tending to rotate it around its point on the floor and thus causing it to fall. In fact, if the top were not spinning, it would fall. However, because the top is spinning and already has angular momentum, the torque merely changes the orientation of that angular momentum, rotating the vector around its tail so that its central axis traces out a cone. The inversion of a tippy top probably involves the initial precession of the top, before it turns over. The key element is the friction on the part of the top that touches the floor. Somehow the friction creates a torque that increases the precession, which then causes the center of mass to move upward. and then search for or scroll down to item 1.106 Tippy tops . May 2015 When the pub manager is not looking, you are given a challenge: An empty bottle lies on its side on the floor. How can you make the bottle stand up without using your hands in any way? Thus, you cannot grab it with your hands or use your hands to insert, say, a rod into the bottle. The bottle is sent spinning over the ice when the shoe is brought sharply downward along its side. That spin consists of two parts. One is counterclockwise around the long central axis of the bottle (from open mouth to closed bottom). The other is a clockwise rotation around the vertical axis. That second type of spinning is said to be precession and more commonly seen with spinning tops. (A top will spin around its central axis while that central rotates around the vertical.) Provided there is enough friction on the bottle from the ice, the precession can cause the center of mass to move upward, as if a centrifugal force from the precession throws the center of mass outward and upward. The counterclockwise spin is difficult to see until the bottle is upright on its mouth. June 2014 Looking for a snack, you see a bowel of eggs lies on the pub counter but you are not sure if the eggs have been hard boiled. You can, of course, crack one open, but if the egg is fresh, then you will have a mess instead of a snack. Is there any other way of checking if the egg is hard boiled? You can tell whether an egg is fresh or hard-boiled without cracking it open if you spin it on its side. A fresh egg spins poorly while a hard-boiled egg spins well. If you spin a hard-boiled egg fast enough, it rises up on one end. If you briefly touch the top center of a fresh egg that is spinning on its side, the rotation starts up again after the touch, but with a hard-boiled egg, the touch eliminates any subsequent motion. The difference between the two types of eggs is, of course, that one is filled with a fluid that sloshes while the other is rigid. The sloshing interferes with the spin of a fresh egg and restarts the rotation when you briefly touch and stop the egg. When a hard-boiled egg is spun fast enough, it behaves like a tippy top and stands up. Here is a video from my old television show in which I demonstrate judo, egg spinning, and various other examples of rotation. November 2006 A rattleback is the name of a plastic toy that exhibits a very headstrong behavior. It looks simple enough, resembling half of a long cylinder that is flat on top and curved on bottom. You spin it on a table with the curved side down by flicking it with your fingers. The curious feature is that the toy prefers one direction of spin. If you spin it in the other direction, it quickly slows, momentarily rocks in place, and then rotates in its preferred direction. It reminds me of certain people who insist that THEIR way is the ONLY way. The behavior is very difficult to explain in detail but I can give a quick explanation, as I do in the book. The curved bottom is asymmetric (it is curved more on one side than the other). When the rattleback begins to turn in the wrong direction, the motion is unstable and the rattleback wobbles. Because of the shape on the bottom side, the wobbling sets up and then builds a vertical rocking motion. That motion requires energy, which comes from the energy of the rotation, and so the spinning rate decreases. The rocking motion increases until it has all the energy. But the rocking motion is also unstable because of the shape of the bottom. With each bob up and down, the rattleback effectively falls toward one side rather than straight down. So, it begins to rotate in that direction of fall, which is its preferred direction of spinning. Thus, energy is transferred from the rocking motion to the rotation motion and the rattleback is then rotating as it wants. Throughout this entire process, friction between the bottom surface and the table drains energy from the rattleback, until the rattleback finally slows to a stop. In the 19th century, stones that (by chance) had the right shape to exhibit the headstrong behavior were known as celts because their behavior was discovered by archaeologists studying the prehistoric axes and adzes they had already called celts. My guess is that a bored researcher happened to idly spin a celt that happened to be shaped to be biased in the spin direction. My old article has provoked at least eight mathematically-sophisticated articles about rattlebacks. Although simple explanations are (well, er) simple, explaining the details of how the energy is shuffled from rotation to rocking and then back to rotation by instabilities and wobbling is mathematically challenging. http://www.tedcotoys.com This link takes you to Tedco, from which you can buy plastic rattlebacks via the internet. demo.physics.uiuc.edu/.../1148/more%20info.html Here is a movie that shows how the commercially available rattlebacks will reverse direction when spun in the “wrong” direction. April 2009 Place a cylindrical container, say an empty food container, on a table and tilt it toward you with a finger. Then with the finger, flick the container away from you. It will move through the vertical position as its bottom face slaps down on the table and then it will tilt away from you. Depending on the vigor of your flick, it may then rock back toward you or topple onto the table. I have flicked countless cylindrical containers in this manner in countless idle moments in countless restaurants and pubs, without paying any attention to the motion. Thus, a recent published paper by Manoj Srinivasan (Princeton University) and Andy Ruina (Cornell University) caught me by surprise. 1. Someone holds an empty cylindrical container on a table and at a tilt directly away from the camera. 2. The top of the container is then flicked by a finger toward the camera. The container moves through the upright position and then down onto the table. 3. As soon as it hits the table, the container is stopped and its orientation is marked with a pencil. Before I watched the video, I assumed that the container would land along a center line between the person and the camera, after rotating toward the camera by 180º. However, I also assumed that because the initial velocity and direction of travel imparted by the finger flick would vary from trial to trial, the final container orientations would lie in a range around the center line. Surely the flicking and release of the container would vary from trial to trial. To my amazement, however, the container landed to the left or right of the center line, with roughly the same angle to the line. The container may seem to rock down flat onto the table and then tilt toward the camera, but Srinivasan and Ruina argue that it actually slides around on an edge or rotates on an edge, or alternates between the two types of motion. In either motion, the mass and the dimensions of the container determine the angle around which the container turns during the motion toward the camera. The only significant variable from trial to trial was whether the container moved around an edge on the left side or the right side. If the container is tall relative to the radius of the bottom face (as with a beer bottle), it will rotate through about 180º and land almost pointing toward the camera, along the central line. But with other dimensions, it will nearly always land at an angle relative to that line. Furthermore, that angle can be predicted from the mass and the dimensions of the container and from assumptions about the sliding or rolling on an edge. If we assume that the container slides with negligible friction, the angle has a certain value, and if we assume that the container rolls without sliding, the angle has a different value. For example, with a particular container, the predictions were 40º for frictionless sliding and 22º for smooth rolling. In trials with the container, the average angle was about 33º to the right of the central line (as seen by the camera) and about 38º to the left of the line. Thus, the motion probably consisted of a mixture of rolling and sliding. Physics is everywhere and is often surprising, but only if we take time to notice. March 2008 If a bullet is shot directly upward, can it hurt you if it hits you near the end of its fall back down? If a penny is dropped from the top of a very tall building, say, the Empire State Building in New York City, can it hurt you if it hits you near the end of its fall? Sometimes men celebrate by firing guns into the air. Obviously if one of the bullets hits you on the way up, you’re going to be hurt. So, you don’t want to be standing on a balcony cheering on the gunmen, or maybe you won’t be cheering for very long. But how about if you are on the ground along with the gunmen? Can the bullet hurt you when it comes back down? I cannot find any research on the question. Usually we can get undergraduates to undergo research for a few extra points or a few dollars, but I doubt that they would be willing to stand under falling bullets to test out a theory. However, we can guess that a falling bullet does not return with the same speed at which it was shot because it encounters so much air drag during its flight. Ideally a vertically shot bullet might simply slow to a stop and then fall back down base first. Thus it would present a blunt face to the air and encounter much more air drag than it did when it was moving upward with the streamlined front end first. More realistically, the bullet will tumble when it falls down. That means it will encounter even more air drag than if it fell blunt end first. If the bullet were to hit you, the collision might hurt you but it probably would not kill you. Not only is the bullet hitting you relatively slowly but the combination of low speed and low mass means that the bullet’s momentum is small. Thus the impact on you would not transfer very much momentum to you, and the bullet could not penetrate you unless it hits an eye. Still, if someone near you begins to celebrate by shooting upward, running away seems like a very good idea, but the worst thing to do is to look upward to watch the bullet. A related question involves dropping a coin from a very tall building, such as the Empire State Building. Could the coin kill someone down on the sidewalk? The link below takes you to an interview with Louis Bloomfield in which he answers the question on the American television show “Twenty Twenty.” Bloomfield is the author of the very popular books How Things Work and How Everything Works, which you can buy from Amazon.com by clicking on the “Store” button on the left side of this screen. Bloomfield does more than just answer the question --- he demonstrates the answer. No, not by dropping coins from the top of the Empire State Building (because he could not get permission to do that) but by dropping them from a helium balloon at a comparable height. In the video we see Bloomfield running around trying to catch the coins. They hit his hand and chest---even his chin---but there is no scream of agony. No cry of “What was I thinking when I set up this video? Was I nuts?” Not even a drop of blood, much less a coin slicing right through his body, with blood gushing in every direction. Just nothing. And that is his point. Each flip-flopping coin reached a fairly low speed during its fall and, combined with its small mass, its momentum at impact was pretty small. Now, don’t think that any falling object will just bounce off someone. Obviously a stone, with its greater mass, will have enough momentum to hurt or kill someone. And if the object is slender (like a pencil), it could penetrate a person. So, never drop anything on purpose from a great height when there is even a remote chance someone might be below you. August 2012 For the last 700 years, ceremonies at the Cathedral of Santiago de Compostela in northwest Spain have been marked by a dramatic swinging of a large censer that hangs some 20 meters from its support. The censer, which weighs about as much as a thin man, is held by rope that wraps around a support and extends down to floor level where it is controlled by a team of volunteers. After someone begins the pendulum motion with a push, the team pumps the swinging by pulling hard on the rope when the censer passes through its lowest point and then relaxing their pull when it approaches its highest point. The hard pull reduces the length of the pendulum by about three meters, and the reduced pull restores the length. After 17 pulls, which takes less than two minutes, the censer swings up by almost 90°, nearing the ceiling. Its rapid travel through the lowest point fans the coals and incense that burn within it. Energy is added to the incense swing by the same mechanics behind the stand-and-squat procedure that you may have used to pump a playground swing. When the team reduces the length of the pendulum, the censer is moving rapidly through the low point of its circular arc and they must pull very hard. Thus they do a lot of work on the censer in reducing the pendulum’s length, and that energy goes into the kinetic energy of the censer. When the team restores the length as the pendulum approaches its high point, the censer is moving slowly or is momentarily stopped. Nov 2008 One purpose of The Flying Circus of Physics book and website is to provide material that can be used on a first date --- you know, when your date is clearly losing interest and time is undergoing some depressing relativistic effect as it slows to nearly a standstill. However, here is a physics item that you do not want to demonstrate on a first date --- slurping a strand of sauce-coated spaghetti (or any long noodle) into your mouth, because the strand can whip through the air and sling off the sauce. This tendency of a long flexible strand to whip through the air when it is pulled into a container is known as the spaghetti effect. The side-to-side whipping is a novelty over a plate of spaghetti but it can be a danger in industrial settings where rope or chain or a long flexible sheet with a free end is rapidly pulled into a container. You probably have seen the whipping with a metal tape measure that is automatically drawn into its case when a button is pressed. As the end of the tape nears the case, the end may lash out sideways and strike you hard on the hand or face. Instructions advise that you draw in the last part slowly to avoid the problem, that is, to avoid the spaghetti effect. I can offer two compatible explanations for the spaghetti effect without getting into the rather complicated equations. 1. If you slurp the strand toward your month while the end of the strand is also moving sideways, the length of strand with that motion steadily decreases. That means that the kinetic energy of that sideways motion is steadily concentrated in a decreasing length and thus in a decreasing amount of mass. This means that, to keep the amount of kinetic energy constant, the length still moving sideways must move faster. And that rapid increase in the sideways speed whips the strand, slinging off the sauce. 2. As the strand moves toward and around your mouth, it is somewhat like an ice skater pulling in her arms while spinning on point. By moving some of the mass closer to the axis around which she spins, she increases the rate at which she spins. With the spaghetti strand, the free end is initially rotating around the mouth. As it is drawn closer to the mouth, its rotation must increase. The increase is rapid enough to sling off the sauce. I fully realize that slurping spaghetti is great fun, especially if you make lots of noise with the intake. But this is something you should do in private, not in a restaurant, where you run the risk of slinging the sauce onto yourself (this eliminates any pride for the evening) or onto your date (this eliminates any chance of seeing the person again) or onto the gigantic Hell’s Angel motorcyclist sitting at the next table (this eliminates any use of your mouth for the next several months and may permanently affect the way you walk). February 2007 and July 2008 In the Flying Circus book, I discuss the embarrassing opening of the footbridge across the Thames in London, connecting the Tate Modern art gallery with the vicinity of St. Paul’s Cathedral (seen in the background of my photograph here). The sleek, modern bridge was built to celebrate the new millennium and hence is called the Millennium Bridge. However, when the first surge of people began to walk over the bridge, the bridge began to oscillate so vigorously that many people had difficulty keeping their balance. The bridge was closed while it was fitted with dampers (shown in two views in my photographs here) to decrease or eliminate the oscillations. Later, researchers explored why the oscillations occurred on that opening day. The ultimate cause was the pedestrians themselves, which is surprising because they did not walk across locked in step like a marching band. Rather, their walking was nonsynchronous (independent). Studies revealed, however, then when the density of walkers exceeds a certain critical value, even the random impacts of the footsteps sets up small oscillations of the bridge at its natural frequencies (the frequencies at which it would oscillate if it were somehow pulled to one side and released and then allowed to oscillate on its own). If the density of walkers is above a certain critical value, then the oscillations grow somewhat, causing some of the people to fall into step with them in order to better maintain their balance. In turn, that falling-into-step increases the extent of the oscillations, which causes even more people to fall into step. And so on. Recently Bruno Eckhardt of Philipps-Universität Marburg in Marburg, Germany, and Edward Ott of the University of Maryland in College Park, Maryland presented color-coded graphs of the footfalls (left and right for each of 80 walkers) in a model of the bridge walkers. If the sensitivity of the walkers is low (in a real situation, the walkers don’t notice the oscillations enough to adjust their walking), the bridge oscillations do not build up and the graphs show nonsynchronous walking. However, as the sensitivity is increased in the model, the walkers begin to adjust their walking and eventually become locked in step, and then the oscillations increase in strength. The onset of the synchronous walking is clearly visible on the graphs, and the onset occurs earlier the greater the sensitivity is. You might experience similar synchronous oscillations in a stadium stand or a concert hall balcony if spectators stomp or jump in unison. That is always my signal to leave because I don’t want to be part of the experiment to see if the engineers who designed the structure allowed for significant oscillations in the construction plans. The last image here is from Google Earth; go to coordinates 51o30'34" N 0o05'51" W. The Tate Modern is at the lower end of the bridge. http://www.youtube.com/watch?v=mWheI7qGZHY Video: Oscillating Morumbi stadium. Look at the relative oscillations of the guard rail. My gosh! http://www.youtube.com/watch?v=JWDuHekqt9c Video of students and their teacher setting a footbridge into resonant oscillations. http://www.youtube.com/watch?v=MNBun1JgDYo Bridge oscillations. Actually this looks dangerous. When a beetle moves along the sand within a few tens of centimeters of a sand scorpion, the scorpion immediately turns toward the beetle and dashes to it (for lunch). The scorpion can do this without seeing (it is nocturnal) or hearing the beetle. How can the scorpion so precisely locate its prey? A sand scorpion determines the direction and distance of its prey from the waves the prey’s motion sends along the sand surface. With one type of wave, transverse waves, the sand on the surface moves vertically and thus perpendicularly to the wave’s travel direction. With the other type, longitudinal waves, the sand moves parallel to the wave’s travel direction. The longitudinal waves travel three times faster than the transverse waves. The scorpion, with its eight legs spread roughly in a circle about 5 centimeters in diameter, intercepts the faster longitudinal waves first and learns the direction of the beetle; it is in the direction of whichever leg is disturbed earliest by the waves. The scorpion then senses the time interval between the first interception and the interception of the slower transverse waves and uses it to determine the distance to the beetle. For example, a time interval of 0.004 second between the arrivals of the two types of waves means that the waves originated 30 centimeters from the beetle. In this way, the scorpion immediately determines the direction and the distance to its prey. Here are two videos that show the deadly game of scorpion and beetle. http://www.youtube.com/watch?v=d4NRw_WHcvw This is long but nicely narrated by one of the Doctor Who actors, Colin Baker. Feb 2011 As he conquered much of the known world, Alexander the Great and his army were protected by a body armor made of woven linen. That may sound terribly weak. After all, how could cloth stop an arrow or axe blade? Surely metal armor would be needed, even though it would have become an oven in the hot Mediterranean summers. Nothing of the linen body armor has survived the ages since Alexander the Great, but there are hundreds of written accounts of it and hundreds of images of it on pots, vases and other works of art. The most famous image is in the “Alexander Mosaic” from Pompeii. No one is certain of the composition of the linen body armor, called linothorax. However, recently Gregory Aldrete of University of Wisconsin–Green Bay and student Scott Bartell set out to replicate the linen. Here are interviews with Aldrete and Bartell and an example of an arrow being shot into linothorax. In a series of experiments, Aldrete and his students studied how their linothorax linens could stop a heavy bladed weapon or an arrow. Part of the projectile’s energy goes into this motion and stretching. The transverse pulse, moving at a slower speed, is due to the denting. As the projectile increases the dent’s depth, the dent increases in radius, causing the material in the fibers to move in the same direction as the projectile (perpendicular to the transverse pulse’s direction of travel). Part of the projectile’s energy goes into this motion. Some of the energy is dissipated by the rubbing of the fibers where they cross one another in the weave or, in body armor consisting of multiple layers, by the stretching and breaking of the fibers. Modern fabric body armor does not stop a knife because the knife point can easily penetrate the fabric between the fibers, and the sharp edge can then cut the fibers as the knife continues to move forward. Linothroax, however, is better able to stop a pointed weapon because it consists of several lamented layers. Linothorax reconstruction by Prof. Gregory Aldrete of the University of Wisconsin at Green Bay. Images of arrows shot into reconstructed linen. 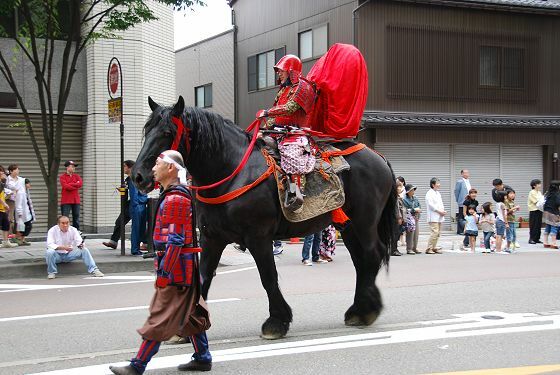 October 2015 When a Japanese samurai leader rode his horse into battle, he wore a horo on his back. This was a large, light-weight cloth that was mounted on a light-weight frame of bamboo or some other material. When the horse galloped, the influx of air would fill the horo, causing it to billow behind the warrior just as air can fill a sail on a sailing ship. The function of a horo has long been debated: Did it act merely as a colorful part of the uniform, designating the allegiance of a samurai? Or did it have some protective measure against arrows shot at the samurai’s back? Could it, in fact, snag an arrow so that the arrow lost most or all of its kinetic energy before the tip reached the back of the warrior? That would be especially useful if the warrior was being chased by an enemy. Here is a video showing experiments where arrows were shot into billowing cloth. The first experiments are done with target positioned behind the cloth, which was filled with air by an electric fan. The last experiments are done by a person riding on a horse while actually being shot at by a person on a trailing horse. The result: A horo is not perfect protection against arrows, especially against large, sharp arrows, but it can offer some protection. The idea for this story came from Martin Schumacher of Germany. July 2006 You might not notice very low frequency swaying (less than 0.10 times per second) but swaying at somewhat higher frequencies (say, once per second) can affect the balance center in your inner ear and may lead to slight motion sickness. The problem is worse if you stand because your body then tends to sway about your feet, as if you were an inverted pendulum. Your head may then oscillate enough for you to be aware of the motion. Tall buildings also tend to sway in a wind but if the oscillation frequency is low, the occupants may not even notice the motion. However, if the swaying repeats more than 10 times per second, it becomes annoying and may even cause motion sickness. One reason is that when a person is standing, the head tends to sway even more than the feet, setting off motion sensors in the balancing region of the inner ear. For both earthquake and wind conditions, various mechanisms are employed to decrease a building’s sway. For example, in the building Taipei 101 a large ball with a mass of half a million kilograms hangs from four cables and swings like a pendulum when the building sways. March 2008 Every spring, on the vernal (spring) equinox, there are news reports of people standing eggs on end, perhaps even dozens of eggs. And every report attributes the stability of the eggs to a change in the gravitational force on that special day. The habit of standing up eggs on the first day of spring appears to have begun in China thousands of years ago. Since then, an uncountable number of eggs have been stood up on that particular day. You might think that such success proves that the day is special. Well, no. The first day of spring on the Chinese calendar is about 90 days before the vernal equinox. But how about all those videos and photos showing people standing eggs on end? The images are certainly real, but the point here is that you can stand eggs on end on any day of the year. You just have to be bored enough to do it. The key is that a small round object cannot be balanced on a smooth surface because contact would be made in only a single point. Even if you can manage to put the egg’s center of mass directly above that point, any chance disturbance (even from your releasing the egg) would ruin the balance and cause the egg to fall. Balancing on two points is hardly any better. The egg would still be vulnerable against any disturbance perpendicular to the line connecting those two points. You have experienced this instability when you stand with your feet apart on a moving and shaking train or bus. You are stable against falling parallel to the line connecting your feet but not perpendicular to that line. The trick to balancing an egg is to get three points of contact and then position the egg’s center of mass somewhere above the area contained within those three points. You don’t actually see the points of contact. Rather you shift and tilt the egg until the egg happens to stay upright when you release it. You can see this searching process in one of the video links given below here. Balancing an egg on pavement or some other rough surface is a lot easier than on a smooth surface because the irregular upward projections on the surface can support or even cradle the egg. Before you show the egg, shake it vigorously so as to rupture the membrane holding the yolk. Then hold the egg upright on a bar table for a few minutes to allow the yolk to settle into the bottom (wider) end and thereby lower the center of mass of the egg. The bottom-heavy egg might then continue to stand up when you release it. Use sandpaper to roughen the bottom end of the egg. The idea is not to produce a flat spot. Rather you are trying to reduce the curvature so that more than two points will make contact with the bar table. Whenever I see an egg balanced on its narrow end, I immediately suspect that sandpaper must be hidden somewhere nearby. In that orientation, the egg surface near the table has a greater curvature than if the wide end is down, and that means that finding three points of contact is less likely. And if you are really sneaky, do this when no one is watching. Spread a bit of salt on the table and gently press the egg into it so that it stands. It can stand because several of the salt grains are wedged between it and the table. Then gently blow all the loose salt off the table. Chances are that the remaining wedged grains will not be noticed, and your bar friends will think that you really do know how to balance eggs. (The photo here, by RGP, shows a similar balancing of a salt shaker.) You always wanted to be known for something, some measure of success in life, and there you will have it --- an expert on balancing eggs. Surely your life is then complete. Oh, about that vernal equinox stuff. Well, that is so old that even naïve reporters are losing interest in it. So, practice up on a new explanation. How about this? On the vernal equinox, the alignment of Earth and the Sun alters the Higgs particles in the space surrounding the egg because of the special curvature of the bottom of the egg. But practice so that you can say all that with a straight face. I guarantee that you’ll find a believing audience. After all, knowing physics means that you know more than a great many people. Videos of standing eggs on end. http://www.badastronomy.com/bad/misc/egg_spin.html#badegg “Bad Astronomy” web page. Includes photos. Alice is, of course, pulled by the gravitational attraction between her mass and the Earth’s mass. However, only part of Earth’s mass is effective in accelerating her at any given point during the fall. Take a freeze frame of her when she is at radius R from Earth’s center and consider Earth to consist of two parts: a sphere of that radius at her feet and a shell surrounding that sphere. The mass in the sphere pulls her downward but the mass in the shell has no effect. Part of the shell is above her and pulls upward. Part of the shell is on the opposite side of Earth and pulls downward. These two pulls cancel each other. In fact, the pull by any given part of the shell is cancelled by the pull by some other part of the shell. As she falls, the sphere below her feet decreases and thus the gravitational pull on her does also. However, that does not mean that she slows. Indeed, from the very start, she accelerates downward and thus her speed downward increases. When she reaches Earth’s center, the pull on her is momentarily zero and thus her acceleration is momentarily zero. However, by then she has reached a very high speed (about 8 kilometers per second) and could never even see things along the tunnel, much less leisurely grab a jar of marmalade. The trip up the opposite length of the tunnel (on the opposite side of Earth) is a time-reversed version of her trip to the center. The force on her increases, slowing her, until she has zero speed when she reaches the surface. Ideally, she would then repeat the trip back to the starting point, arriving about 84 minutes after she began there. This type of motion is a textbook example (as in my textbook Fundamentals of Physics) of simple harmonic motion and is said to be sinusoidal because the equation describing the position as a function of time in this idealized motion can be written with either a sine or a cosine. Of course, as I’m sure that you can guess, I’ve left out several important complications. First: The density of Earth is not uniform, and Alice’s acceleration actually should increase (not decrease) as she falls through the first part of the tunnel because of the greater density of Earth at smaller radii. Nadia Ahlborg and Soham Chakraborty, two high school students attending the 2007 Summer Honors Institute here at Cleveland State University, used a standard model of Earth’s density to see how a more realistic Earth density affects Alice’s travel. They found that the acceleration is greatest at the boundary between the mantle and the outer crust, at the so-called Mohole, named after the Croatian geologist Andrija Mohorovicic. They also found that the greatest speed (at Earth’s center) is about 10 kilometers per second and that the round trip should take about 76 minutes. Although the motion is periodic, it is actually not simple harmonic motion nor sinusoidal. Second: Earth is rotating. If the tunnel is along the rotation axis, the rotation does not matter, but if it is along any other diameter, Alice will run into the wall. If you were to watch her fall down the tunnel, a strange force would seem to push her into the wall. The force is the Coriolis force but it is not a real force. Instead, it is a convenient way to explain her otherwise strange sideways deflection. Here is a better explanation. When Alice drops into the tunnel, she and the mouth of the tunnel are rotating at a certain speed around the rotation axis. As she descends through the air in the tunnel, her speed around that axis does not change. However, because she is then closer to the axis, the adjacent section of the tunnel is moving slower around the axis. So there is a discrepancy in speeds: she is still moving rapidly while falling through a tunnel section that is moving more slowly. So, she collides with the side of the tunnel. In the last few years, Andrew J. Simoson of King College in Bristol, Tennessee, examined the following variation of the Alice problem for Alice starting on the equator. What shape should the tunnel have so that Alice would not run into the tunnel wall at any point during her trip down and then back to the surface? The shape is an ellipse that would take Alice around (not through) Earth’s center. As she fell, Alice would orbit Earth’s center. However, because Earth rotates while she orbits inside Earth, Alice would return at a point about 2400 kilometers west of where she entered on the equator. May 2007 Giant’s Causeway in Northern Ireland is an ancient lava bed (basalt) that consists of a stunning array of columns which are polygonal in a horizontal cross section, as you can see in this photo by digitalEnvironmentalist. (Many other ancient lava flows, such as the Devil’s Postpile in California, are similar. See the following URLs for images.) When I first saw Giant’s Causeway, I swore that it had to be artificial, shaped by some madman with a hammer and chisel, working for a lifetime. However, the array is natural and its cause has been a puzzle to scientists for three centuries: How can lava seeping from the ground solidify into polygons? In 1998, Gerhard Muller of J. W. Goethe University in Frankfurt am Main, Germany, demonstrated how a slurry of corn starch and water, left to dry over many days or forced to dry with a hair dryer or heat lamps, can develop into small polygonal columns that closely resemble the ones at Giant’s Causeway. Back when I was writing “The Amateur Scientist” articles for Scientific American, I investigated how a drying corn-starch slurry fractures as the loss of water produces stresses in the material, first on the top surface and then progressively lower in the slurry. I showed how a moving fracture meets an established stationary one by turning to make a 90º intersection. The stresses along the stationary fracture pull parallel to the fracture and literally rip the surface apart as the moving fracture approaches. Thus, these primary fractures (the first to appear) tend to meet at 90º at every intersection. In slurries with depths of several centimeters and in containers that were 5 to 10 cm wide, many secondary fractures eventually appear and then move downward into the slurry just above the line separating dried starch (above) from still wet starch (below). A moving secondary fracture tends to split (bifurcate) to form branches that are angled at about 60º. On the average, such branching requires the least energy expenditure of the drying starch. Thus, these secondary fractures tend to form hexagons (60º at each corner) and other polygonal shapes (four, five, and seven sided shapes). What Muller discovered (and I missed) was that the fracturing extends down into the slurry, forming columns with polygonal cross sections. Of course, lava is not corn starch, but both materials undergo similar changes. The corn-starch slurry loses water as the water diffuses (spreads) upward, molecule by molecule, through the slurry to the top where it evaporates. Because it loses water, the slurry contracts and then fractures from the stresses created by the contraction. Similarly, the lava in a layer cools, solidifies, contracts, and then fractures as thermal energy diffuses upward (and maybe also downward) to cooler regions. Presumably, both diffusion processes eventually produce polygonal shapes. Such patterns are said to be self-organized because seemingly random processes produce a fairly regular pattern without outside intervention. Recently, Lucas Goehring and Stephen W. Morris of the University of Toronto and Zhenquan Lin of Wenzhou University of Zhejiang, China, investigated what factors determine the size of the corn starch joints. (In geology, a joint is any fracture in which the sides do not slide past each other.) In particular, the researchers adjusted the drying rate by adjusting the distance between a starch slurry and a drying lamp, finding that faster drying generated columns that were smaller in cross section. However, the research did not reveal any other simple, clear-cut relation between the size of the columns and the drying conditions. If you are looking for a science project, you might continue these investigations, trying other slurries (such as rice starch) and containers of various sizes and shapes (do the boundaries affect the joints?). And if you ever get a chance to visit Giant’s Causeway or any other columnar joint displays, take a camera. No one will believe what you see without photographic proof. October 2007 If you wad up a sheet of paper as tightly as you can, the volume of the ball is 75% air. So, what exactly stops you from compacting the ball more? If you fold a sheet of paper in half repeatedly, you cannot make more than seven folds, but what exactly stops you? The physics that stops you has generated a flurry of research papers over the last 10 years, contributed by physicists, materials scientists, and mathematicians. Folding Let’s start with folding paper in half, which has resulted in several YouTube videos that I have listed at the end of this item. There are two general ways of folding. In one way, lay the sheet in front of you as if you were going to write on it. Fold it in half around a left-right axis. Then keep on folding it in half around a left-right axis. In the other way, make the first fold around the left-right axis but then the second fold around an axis that runs directly away from you. Thereafter, alternate the folds between the two axes. Either with the one-axis folding or the alternating-axes folding, you’ll have trouble with the sixth fold and then find the seventh very difficult and the eighth just impossible. Some students have beaten the seven fold limit by using a thin metal foil or thin paper (such as toilet paper) that is very long in one direction. Recently, high school student Britney Gallivan managed 12 folds by using one-axis folding with paper that was so long in one direction that she had to lay it out in a shopping mall floor. Links to descriptions and photos of Gallivan’s folded paper are given below. When I fold the paper sheet in half repeatedly, the number of layers I must bend increases. Each bend requires stretching and bending of the paper, primarily along the fold, and I am the one providing the energy for those distortions. The first fold produces a stack with 2 layers. The second fold produces a stack with 4 layers. The nth fold produces a stack with 2n layers. Thus, with each repeated fold, the energy required of me to bend and stretch the layers of paper increases. However, there is another problem. Because the paper has a certain thickness, the full thickness of the stack (assuming it can be pushed flat) is 2n times the single sheet thickness. Thus the total thickness becomes very large. Trying to bend such a thick structure is difficult because the inner layer must bend sharply and the outer layer must bend more gradually. This discrepancy requires that the outer layers slide over the inner layers. Sliding involves rubbing --- there is frictional resistance between the layers as I make the fold. So, I am providing energy for not only bending and stretching but also for the energy lost as the layers of paper rub over each other. In single-axis folding, I am stopped at the fifth fold, which gives a stack of 32 layers. However, I can easily fold a stack of 32 sheets of paper in half. What is different with the folded-up single sheet? One difference is that the width of the paper I grab to fold over is very narrow, giving very little leverage to force the bending and stretching. Another difference is that the layers of a folded single sheet are held in place (constrained) by the previous folds. So, if I am to manage a new fold, I must stretch the paper all the way across the plane of each layer and also increase the stretch in the previous folds. Eventually, the energy required of me is just too great. Wadding or crumpling As you begin to wad up a sheet of paper, watch what happens to it. The sheet develops a network of points called d-cones (for developable cones, where the adjective is a math term having to do with folding and bending) that are connected by folded regions called ridges. Here is a photo of a crumpled sheet of paper. Can you see the d-cones and ridges? To examine a single d-cone, place a sheet of paper on the top of a drinking glass and then use a pencil to push the center a short distance down into the glass. The paper forms a cone around the pencil point, and the paper no longer fully touches the rim but instead buckles. Most of the work you do to make the d-cone ends up in the bending of the paper in the region surrounding the tip of the cone. When you wad up paper, you initially produce a handful of d-cones and ridges, but as you continue, you break those ridges into more d-cones and ridges. Each breaking stage requires more energy from you, primarily in making the ridges, which decrease in length but increase in the sharpness of their fold. The task becomes increasingly difficult. The ball is 75% air, but it is not the compression of the air that fights against you. It is the energy required of you to form even more ridges that eventually stops you. Physics is everywhere, even in crumpled paper. http://pomonahistorical.org/12times.htm Description of a student who achieved 12 folds of a toilet paper strip. The strip was so long that she had to lay it out on a shopping mall floor. http://classes.yale.edu/fractals/FracAndDim/BoxDim/PowerLaw/CrumpledPaper.html Photos plus example of how the crumbled paper ball is an example of a fractal. Dec 2009 When a bullet is shot through an empty vessel, such as a drinking glass, the vessel shatters into many pieces, most of which move in the direction of the bullet. The impact of the bullet forces them in that direction, giving them momentum (the product of mass and velocity) in that direction. However, if the vessel is filled with either a liquid or a pliable material, something strange can happen. Material at the entrance point can move in the reverse direction, that is, back toward the weapon. Here are several video examples shown in slow motion. When a bullet enters, say, a glass of water, it shoves on the liquid so suddenly that a shock wave (or pressure wave) is sent throughout the interior, with sudden increases in pressure. That pressure increase can propel material out the entrance, back toward the weapon. Depending on the speed of the bullet, it can also blow material out the exit point even before the bullet reaches that point. If the container is not very strong, the pressure increase can cause the container to explode, sending material in nearly all directions. Here is a grim, historical example. The suggestion that a second sniper was involved in the assassination of President John F. Kennedy was bolstered by the spray of brain debris. Some of the debris was back in the general direction of Lee Harvey Oswald, the gunman. So, the argument was, if the bullet from Oswald passed through Kennedy’s head, how could debris have been propelled back toward the weapon? That must mean there was a second sniper in front of Kennedy, supposedly hidden on the grassy knoll in front of his motorcade. I don’t mean to trivialize Kennedy’s death, but we now have slow-motion videos where we can easily see the reverse propulsion of materials. Thus, the spray of debris does not in itself require a second sniper. If you are interested in the physics of Kennedy’s assassination, the best paper available is Louis W. Alvarez, "A physicist examines the Kennedy assassination film," American Journal of Physics, 44, No. 9, 813-827 (September 1976). It is a very convincing argument, using several pieces of evidence, including the audio recordings of the gunshots, that there was single gunman. Jan 2010 If you hang a picture with a short length of cord passing over a support such as a nail, chances are that it will gradually become crooked. What makes it unstable? Is there anything you can do to stabilize it other than wrapping the cord around the nail or using two, widely spaced nails? Here are two examples of hanging pictures from my office wall. A year ago, both were straight, but the top one has gradually shifted. When the cord is short, a picture is unstable because any chance disturbance will allow it to lower the center of its mass distribution by hanging crooked. Each disturbance tends to momentarily relieve the friction between the cord and the nail, allowing the gravitational force on the picture to slide the cord slightly over the nail before the friction is reestablished. When the angle between the diagonals is less than the angle at the nail, the picture is unstable. By substituting a longer cord, you decrease the angle at the nail. When it is smaller than the angle between the diagonals, the picture cannot lower its center of mass by becoming crooked and thus is stable. For the top picture on my office wall, the angle at the nail is about 145º and the angle of the diagonals is about 60º. Over the last year, chance disturbances (primarily due to the opening and closing of the door, just off to the right of the picture) have caused the center of mass to shift downward, misaligning the picture. The same thing did not happen to the bottom picture because it is not hung by a wire or cord. Instead, it hangs on a nail by means of a notched metal strip. There are two curious features in the video: (1) the front tires lift off the track and (2) the rear tires develop large amplitude waves. Both features are due to the huge power (5 megawatts, or 6700 horsepower) that is suddenly applied to the rear wheels as the race begins. The engine dramatically torques the wheels to rotate them in order to accelerate the dragster down the track. The tires do not slip in spite of the huge torque because just before the race begins, the driver puts the dragster in burnout, in which the wheels are forced to spin while the dragster is stationary. That melts the tire surface, coating both the surface and the track with tacky rubber. In the language of physics, the coefficient of friction between the tires and the track is then high. So, when the race begins, the tires “grab” the track rather than slip over it. (Even brief slipping would cost the driver the race.) In order to accelerate forward (to the left in the video), the bottom of a tire must push toward the rear (to the right). Because there is no slippage, the frictional force on the bottom of the tire from the track is therefore to the left and huge. That force at track level creates a clockwise torque around the dragster’s center of mass, rotating the front wheels off the track. This is dangerous of course, because if the wheels remain off the track as the dragster gains speed, the air pressure on the underside of the dragster can lift the front end up and then over the rear tires, in what is called a blowover. That can be lethal to the driver. One way to decrease such a disastrous outcome is to attach a wheelie-bar to the rear axle. As you can see in the video, the device trails the dragster and would disallow the front end to come up very far. If you have ever rapidly accelerated a car from rest, you have experienced similar rotation --- the front of the car noses up. During rapid braking, just the opposite happens. The friction on the tires is then toward the rear of the car, causing the car to nose down. Because the rear tires support most of the dragster’s weight, they are not round but have a flatten region where they make contact with the track. As a tire accelerates forward, its front section (which is round) must be compressed into the narrow space between the rim and the track and becomes highly stressed by the huge frictional force from the track. As a result, that section buckles into the wave-like appearance you see in the video. When the front wheels lift off the track, the dragster bears down on the rear wheels even more and increases the buckling. Tire distortion may not be visible at a drag race, but it is the stuff on which engineers focus because having a dragster shred its tires at the starting point is no way to win a race.